This is the second game where this happens now so I guess it’ll become a running gag. I guess Sanger will actually be the one to sing Gong during the Keisar Ephes fight. Clear data & pilots list before shooting down final boss. I like everyone in OG so I always use everyone. I bought the game around one year after it released to buy it second hand for like 25€ on Amazon JP. I slowly savored it and only finished it in May 2018. The only reason I got the Japanese version is because I don’t own a PS4, not because I’m boycotting the English version or something, even if the translation is far from perfect. Thank God things changed with V and now X. Looking forward to playing them one day. The game’s new animations are really amazing. I still can’t believe how good Over Kaiser Sword looks. Though it’s also a bit eerie and it’s like over Obaried. It reminds me of how Obari once tweeted sometimes he works on something, and he gets told “this isn’t good, remake it to make it more Obari like” and how he can get stuck in his own style even if he wants to do something different. Kotobuki Tsukasa answered his tweet saying the same happens to him too sometimes. 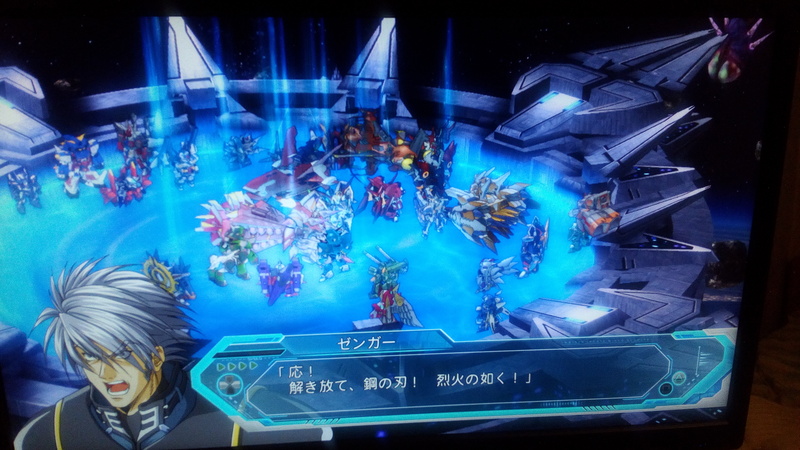 I played J before this, one of the rare time where I played a SRW before it got into OG, so I was really looking forward to it. I only did one J full run, with Sir Coustwell, Touya and Tenia, so I was a bit sad Coustwell wasn’t in, but Coustwell Brachium is in and looks cool. Maybe next game it’ll have 3 finishers, I really liked Tenia’s. While I like all 3, I kinda like Tenia the most as I think she’s the most interesting among the Powerpuff girls. 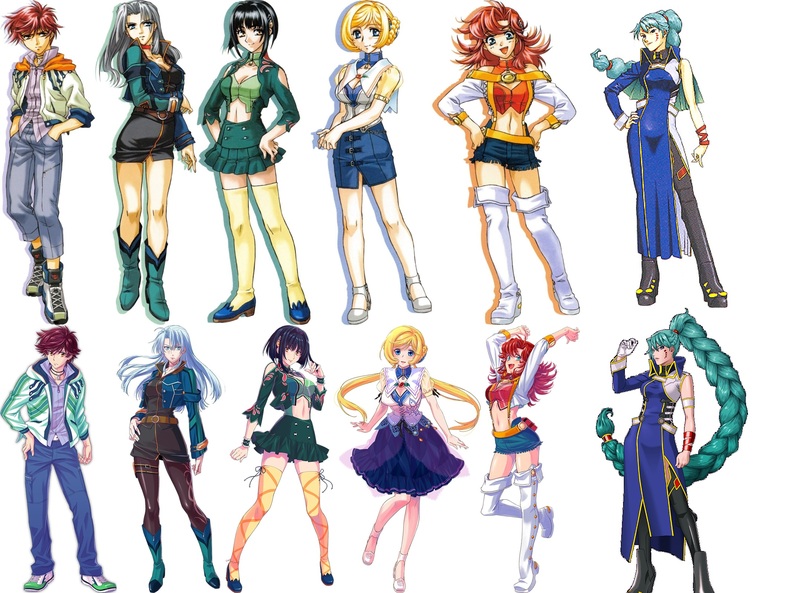 The redesigns are really good except for Melua’s which I think has too much blush. Anyway, I paired Tenia with Touya this time as well. Raftclans’ animations were great too, though it’s mostly Al Van’s which is ultra amazing. I guess the only thing I didn’t like on how J was handled is how they changed Fu Lu and made her in love with Gu Landon. I liked her J version better, thought I guess “I wanna fight strong people” is boring. I hate the “woman knows what she’s doing is wrong but does it anyway for the man she loves ” stereotype and I hate seeing it every time in Fire Emblem too. OGMD’s story was really interesting, can’t wait for what will happen next. I ended up liking the new characters like Gint much more than I imagined too. I kinda wish someone told Touya and the others new guys “hey you actually already went past through all that in a past life so things will be fine” but the story was interesting nonetheless. I didn’t expect at all they’d tie in Masoukishin’s end plot with this, and make it linked with Hero Senki stuff, Great Battle stuff and possibly every faction that’s to come with each having a Kadum Hakaam. I hope more Masoukishin characters and Mugen no Frontier characters will be in the next game. 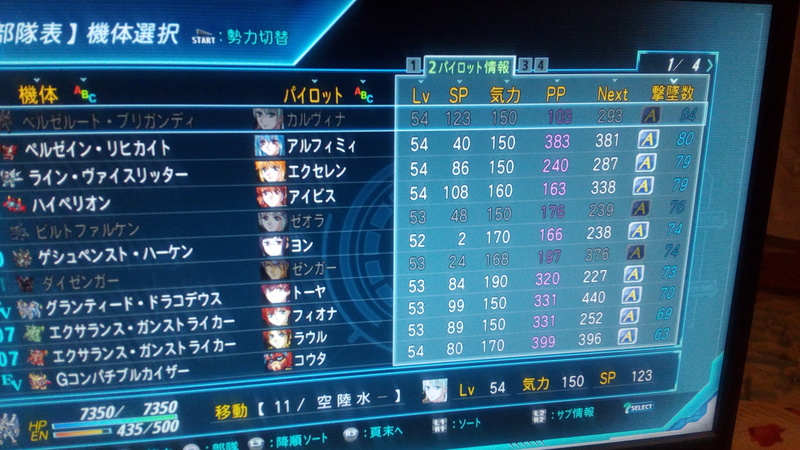 Haken and Aschen are still there too, while I thought they’d go back at the end. Circuit kun and Eran will definitely join one day, hoping for Alady too so he can get a combination attack with Folka. My favorite MnF character is Suzuka so I wish she’d join too. 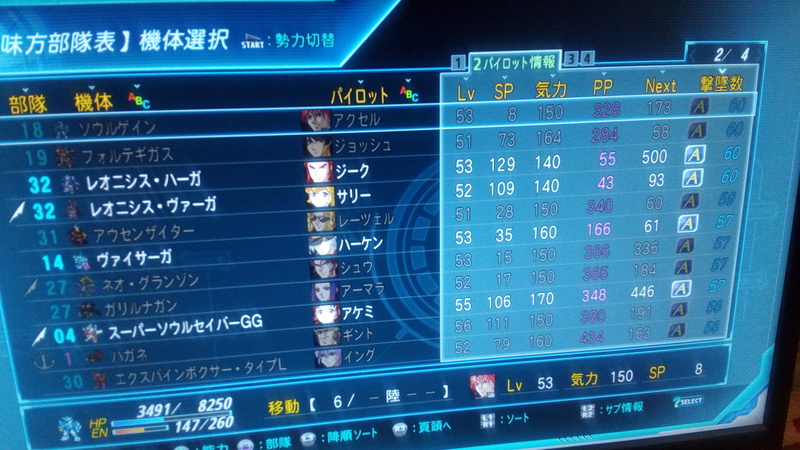 The game’s epilogue is written kinda differently compared to usual SRW epilogues. There’s the usual foreshadowing for the next game: there’s a Cross Gate in Zuvork controlled space, “what we thought to be impossible, destroying Crossgates, is possible so there may be ways to do other “impossibles” too, like saving Laki” etc. But then, everyone mostly stays together. Usually everyone goes back to their respective home/base/laboratory but this time everyone is still in the Steel Dragon Squad, with stuff like patrolling in case Lamalice reappears. I hope they take this into account for the next game, and won’t babywalk newcomers too much so we get most characters very early. Hoping Devant will still be there too, I don’t want Arrière to be alone. Speaking of that I was sad you got Alfimi for like 2 stages in 2nd OG so used her a lot this time, especially since Mizutani Yuuko passed away too. Excellen too. I think it was the best balanced game in a while difficulty wise, some SR points were really challenging. I really like all the new ace pilot bonuses they made too. Sally and Sieg’s are super useful to tank bosses. I really liked all the situational one depending on the characters’ relationships too. The game had tons of great moments too, like Excellence Gunstriker’s debut which made me shed a tear. They went such a long way. I remember when Terada said he literally forgot about the R characters still being there when making 2ndOG. I wanna do another run, but I wanna replay 2nd OG first too. 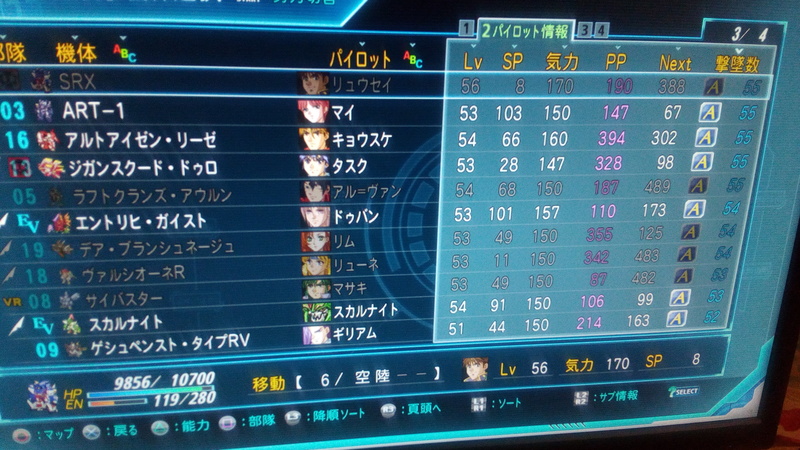 And before that, play SRW EX to see what changed between the two. This would require plenty of time so not sure if I’ll ever do it. Lastly, I really hope Folka comes back next game for some Hokuto no Ken mecha action again. I hope they’ll give Folka a new move inspired by Musou Tensei too. And then another martial artist inspired new OG, either Jackie Chan or Muhammad Ali. Would be great if it’s the later as pretty sad Albada ended up dying. 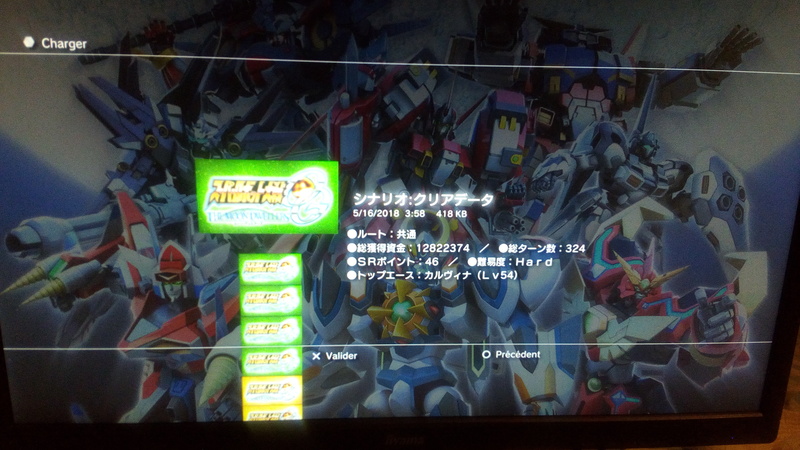 This entry was posted in Opinions on..., Super Robot Wars and tagged SRW, SRW OGMD on June 1, 2018 by rockmanshii.